JAMIE BRYSON ON HUNGER STRIKE: NO GREATER LOVE!!!! | AMERICAPHILE RESURGENT!!! ← A DRESS REHEARSAL FOR THE FINAL TRIBULATION!!!!! JAMIE BRYSON ON HUNGER STRIKE: NO GREATER LOVE!!!! CIVIL RIGHTS ACTIVIST AND SPIRITUAL AUTHOR JAMIE BRYSON IS HEROICALLY SACRIFICING HIMSELF FOR BRITISH ULSTÈR’S PRECIOUS FREEDOM!!!!! Leading flag protestor Willie Frazer will appear in Belfast Magistrates Court this morning to face charges relating to his alleged role in Province-wide protests. Jamie Bryson is refusing food and water while in custody, a Pastor and friend of his has said. Pastor Gordon told the News Letter that the loyalist was still being questioned after 9pm at Musgrave Street police station in Belfast. Mr Gordon said that before Mr Bryson was arrested the leading flag protestor had been speaking with the chief superintendent for C District by telephone. “They were supposed to be meeting, Jamie had been speaking with him about managing the situation. It is not clear whether the [police] search teams found him first. NOW, SINN FEIN/IRA/PSNI WILL NOT BE ABLE TO USE HIM FOR THE LASAGNE FACTORY!!!! BROTHER AND SISTERS, THE INQUISTION IS BACK IN BUSINESS!!!!! 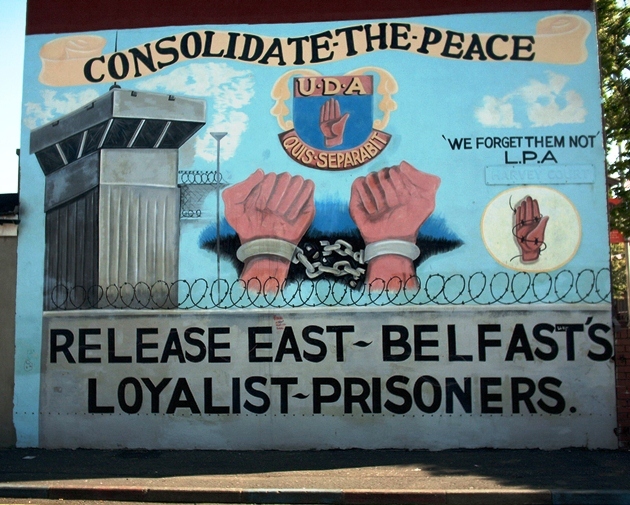 dont forget the hunger strike lasted about 3 hoyrs and he broke it with a indian take away, what a martyr! !